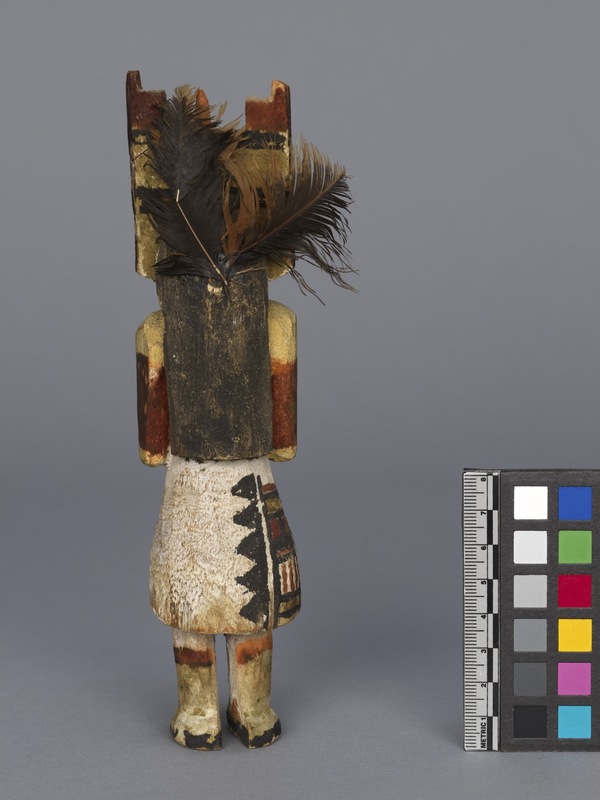 Item number 3255/7 from the MOA: University of British Columbia. 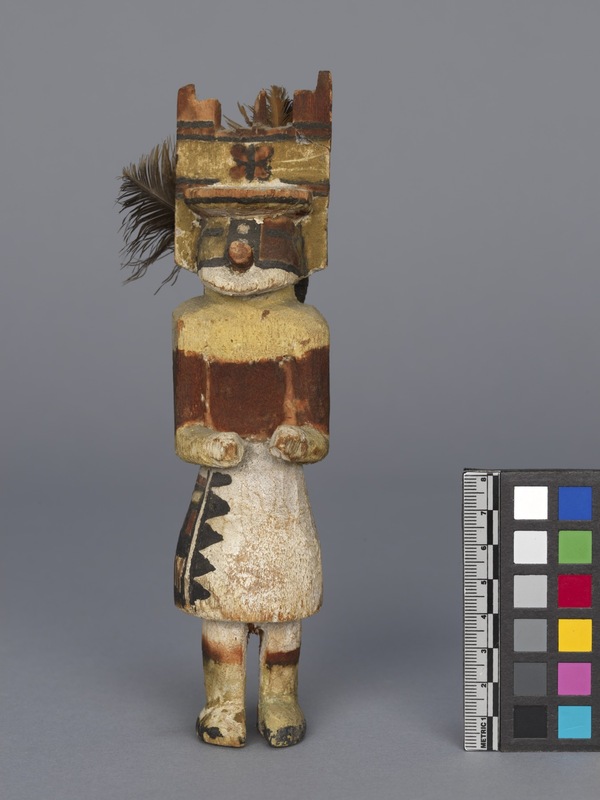 Small Kachina doll. 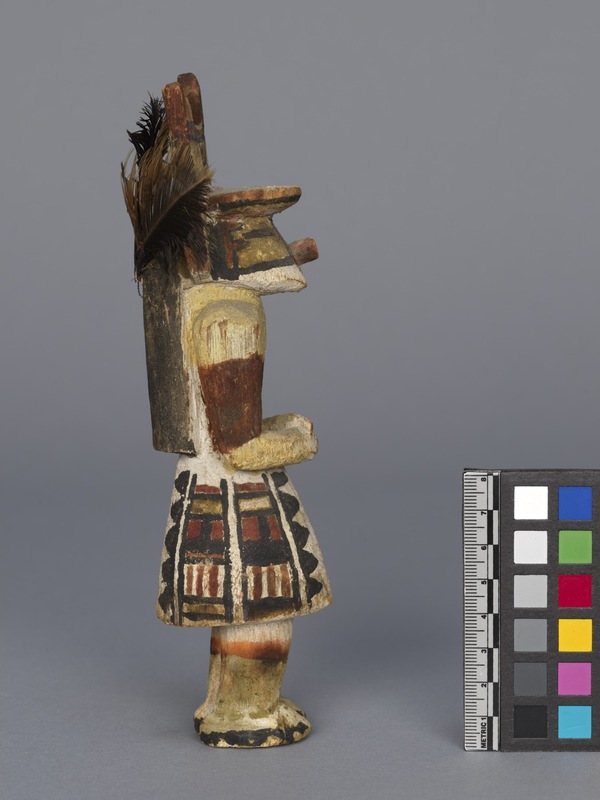 Carved from wood, doll has a large head with a tall, square, rust and green headdress, feathers at rear, and a brim that protrudes over forehead. Face has a tubular nose and prominent chin. Rust and yellow torso holds arms tightly at sides, fists in front of stomach. Skirt is full and round, white, with a black and rust pattern down the right side. Legs emerge from below, with large rounded feet. Made in Arizona, USA ?